Last night I went out of the house without my wife or any children. This morning I feel like a teenage boy starting puberty. 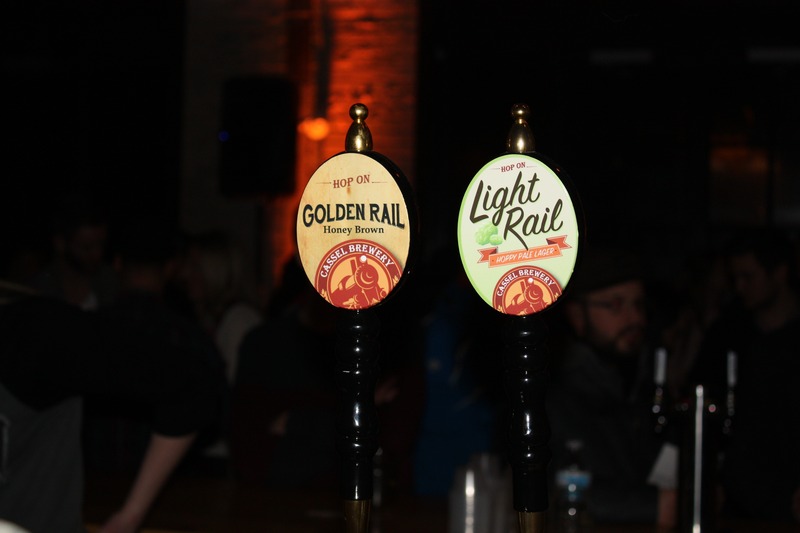 I had the opportunity to go to the first night of the Winter Brewfest in Ottawa last night and while I was there I may have sampled one or two local craft beers. Of course I carefully swirled the beer to release the flavours and aromas before delicately sipping the sample of each beer. Unfortunately there were no buckets supplied for spitting out the mouthful before trying the next one. The only solution I could find to this problem was to swallow it and drink the rest of the beer in my glass. If you decide to swing by this particular gathering today I should first point out that this building at Lansdowne Park is not the Horticulture Building where the event is taking place. This building is in fact the Aberdeen Pavillion. Last night all four doors were locked, which led my friend and I to believe that it was not in fact the building we were seeking. This is the Horticulture Building. It is useful to know this information ahead of time given the Extreme cold warning that has been issued in Ottawa. It was actually a great set-up with multiple brewers in common spaces and I am not sure if it was actually the case, but it seemed that similar types of beer grouped together (e.g. the stouts seemed to be more or less in the same area). Each sample requires a specific number of coupons – typically between 4 and 6 coupons and you can buy a sheet of twenty coupons for $10. I didn’t have the ability (too much sleep-deprivation) to test all of the beer on tap. I did get around to test out six different beers that I had not had before. I generally prefer craft beers and am always looking for new things to try, so I had tried out beers from a number of these breweries before. There were several others that I had never heard of or tried before. I sampled beer from Nickel Brook, Dominion City, Bicycle Craft, Beaus All Natural, Clocktower and Cassel Brewery. All of them are Ontario breweries and all of these, except for Nickel Brook, are local to the Ottawa area. Bicycle Craft is very local to me since it is practically behind my house. While I didn’t get a chance to try as many as I would have liked to, I did learn about many Ontario breweries that I had never heard of and that I am going to track down so I can continue my sampling journey! This was the first year of the Ottawa Winter Brewfest. It is an offshoot of the Festibière de Gatineau. The Brewfest only runs Feb 13 and 14 so if you are thinking about checking it out, today is your last chance. It is a great way to learn about many of our Ontario brewers and learn what kinds of beer you like if you normally only drink one type of beer. There are also a few food items available from A Local Public Eatery. Their poutine was quite good, although could have used some more cheese curds. When all was said and drunk, I could still feel my nose, but was running out of steam and could no longer talk over the music to my friend since I had lost my voice. And today? I feel like I am 13 again. My voice is cracking and breaking when I try to talk. So …. a good night was had by all! I was provided admission tickets to the Winter Brewfest at no charge and made my own beer choices.